When it's time to start thinking about engagement rings, there's one thing you should consider before you start looking at styles: cost. The price of a ring not only determines which one you get, but it can play a huge role in the designs you end up considering, too. So how much is your ring supposed to cost? Don't worry, we've got experts to help with that. 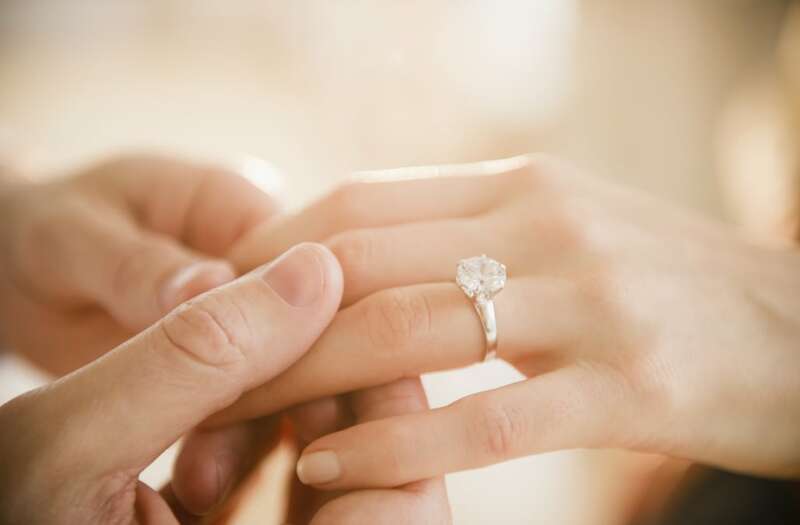 You may have heard the three months' salary rule, where your fiancé-to-be is supposed to set aside three months' pay — and spend all of it on a diamond. "That rule doesn't apply anymore," says Jennifer Gandia, owner of Greenwich St. Jewelers. Phew! "Instead, create a budget for your ring based on what you're actually comfortable spending. Just know that, once you're in a jewelry store looking at actual rings, you may need to adjust it to get what you really want." So be sure to include some wiggle room! When it comes to buying the ring itself, prices are going to vary widely due to a number of factors: The size and quality of the center stone, any details (like a halo or stones set in the band) and the type of metal chosen — not to mention mark-ups that can come along with factors like a popular brand name! Of course, there are ways to get the diamond look for less. "Consider a white sapphire, which is hard enough to withstand daily wear and has a similar color," says Gandia. "Other traditionally popular gemstones are blue sapphires, rubies and emeralds. Depending on quality, these can be slightly less than a diamond, though truly rare and high-quality stones can sometimes cost more." Other non-traditional stones that are getting more popular by the minute? Green tourmaline, peachy-pink morganite and ice blue aquamarine. "These are all great options for clients looking for a lower-priced alternative to a diamond that will still really shine!"